Missed in Translation: Sidewalk or Sidemarket? With all due respect, I believe there is a grave error in a Thai to English translation. The Thai word for sidewalk is ทางเดิน (tang deen) with the word ทาง (tang) meaning ‘way or path’ and the word เดิน (deen) meaning ‘walk’; the Thai word for market is ตลาด (dta-laat). 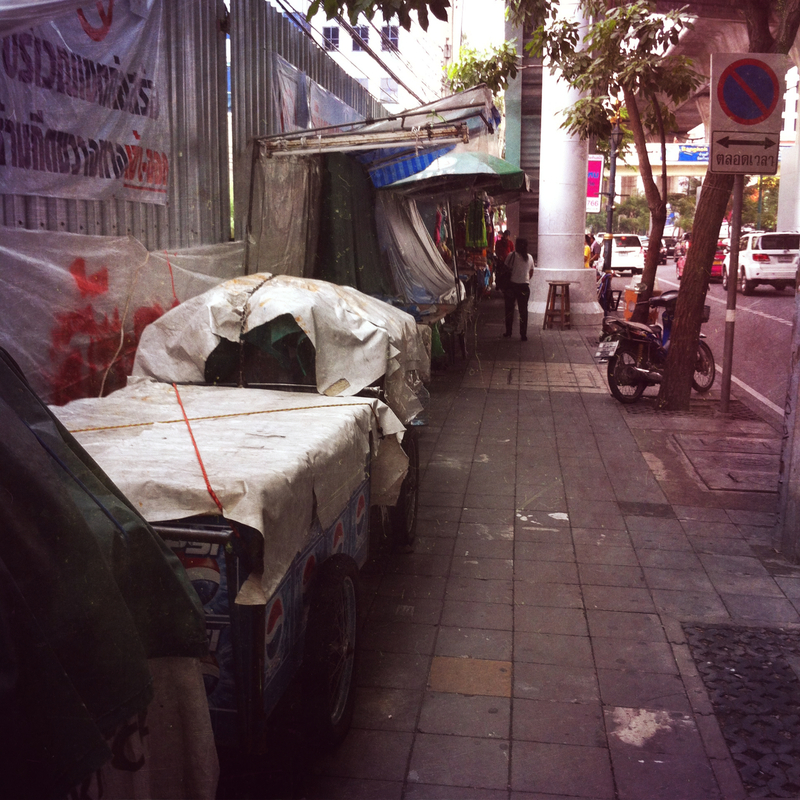 There are many markets in Bangkok, but very few, if any, sidewalks that don’t contain a market. For the sake of accuracy, the Thai word for sidewalk, at least in Bangkok, should be ทางตลาด (tang dta-laat), meaning market path. This entry was posted in Farang, Language and tagged Bangkok sidewalk, farang life, lost in translation. Bookmark the permalink.